Our art curriculum reflects each child's own creativity and individuality. Music is not limited to children's songs. We listen to jazz, rock, classical, instrumental as well as music from around the globe. Language arts activities may include creating plant signs for our garden or menus for a dramatic-play restaurant. We may author our own stories or write a poem about the beetle we found on our trail. The flight of butterflies in our garden may inspire a creative movement experience or a song! 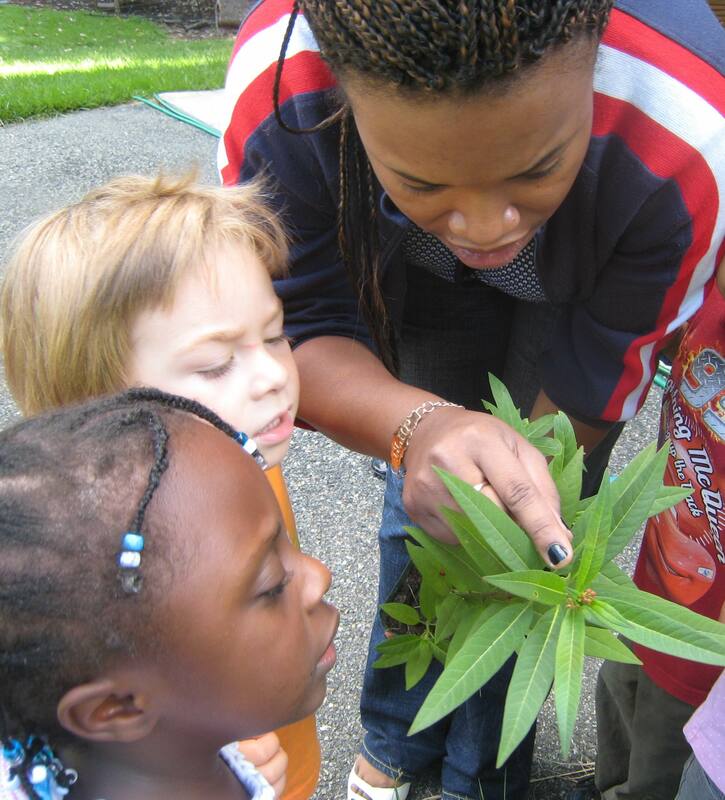 Our curriculum fosters discovery and experimentation with an emphasis on critical thinking. Observation and experimentation are two of the processes of Science. They also represent how children learn. 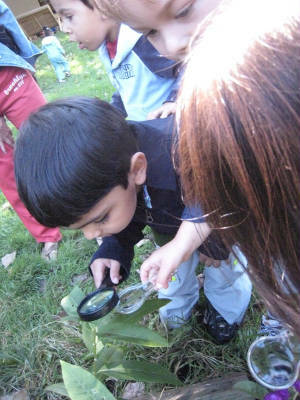 Our classroom learning centers extend to the outdoors. Every season offers so much to explore! Whether we are collecting and comparing rocks, looking to see if ice formed in puddles or watching ants at work, we are engaged in discovery and learning. "If a child is to keep alive his sense of wonder, he needs the companionship of at least one adult who can share it, rediscovering with him the joy, excitement and mystery of the world we live in." We care about ourselves,each other and the living things in our community. All through the year we will be exploring the world of the many creatures that share our gardens and nature trail. Caring for pets, plants,caterpillars,butterflies and the occasional classroom visitor offers the children the opportunity to develop empathy as well as a sense of responsibility. "In the end we will conserve only what we love; we will love only what we understand; and we will understand only what we have been taught." Each month your child will participate in age appropriate activities that relate to specific themes or projects. Project work can lead to a child's in-depth and meaningful study of a topic.Be sure to check the This Month page for information related to current themes and activities. See our Centers page to learn about the type of activities we provide in each area of the curriculum. Because we follow the interests of the children, many activities will not be listed in advance,but we will send out email photo essays describing our classroom experiences. Be sure we have your email address on file.